Welcome to Pembrokeshire's Top Surfing & Paddle Boarding School. Surf Lessons & Paddle Boarding School Pembrokeshire. Surf Centre Wales is one of the longest established surf training centres in Europe. 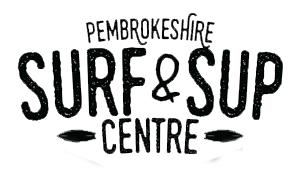 Our surf school & surf shop based in Pembroke, Pembrokeshire, we pride ourselves on our surfing knowledge and advice. We are also member of the W.S.F (Welsh Surfing Federation) . All our staff surf and have a great depth of knowledge of surfing & of the equipment we use for our Surf Lessons & that we sell. We stock a large range of the leading surf brands including Billabong, Realm, Alder & Tiki wetsuits, Protest, Billabong, SaltRock & Outer Reef board wear and Reef,Havaianas sandals. As a wetsuit specialist we stock a huge range of of Mens Wetsuits, Ladies Wetsuits and Kids Wetsuits. Situated on the Pembrokeshire Coast we are in a perfect position to offer a range of water sports & equipment and offers our whole range of surfboards and surfing equipment hire. Here at Surf Centre Wales, we are also have a range of custom Surfboards including Surfboards, Billabong, JS, Rusty,Torq, Sola,Tiki & Howzi Surfboards, Surfboards. Surf Lesson In Pembrokeshire | Surf Lessons | Stand up paddle boarding courses Pembrokeshire | Pembrokeshire Surf & Paddle Boarding Board Riders Club | Pembrokeshire Surf Centre. Surf and Paddle Boarding Weekend. WE offer Surfing Lessons & Stand Up Paddle Boarding Courses In Pembrokeshire, So we can offer you as much thrill and adrenaline as you want it to – from relaxed river cruises to surfing the waves of Wales. High quality, warm wetsuits are also provided to keep you warm during the sessions.